Current selected tag: 'perspective drawing'. Clear. This tutorial explains the process of drawing a forest scene in perspective using a series of diagonal lines. You can also apply this technique to any of your other perspective drawings you might be working on. Mastering the art of perspective can be challenging for any beginner artist. However, just like with anything else, practice makes perfect. This comprehensive reference guide contains a bunch of useful tips that will help you understand how to add perspective to all of your drawings. 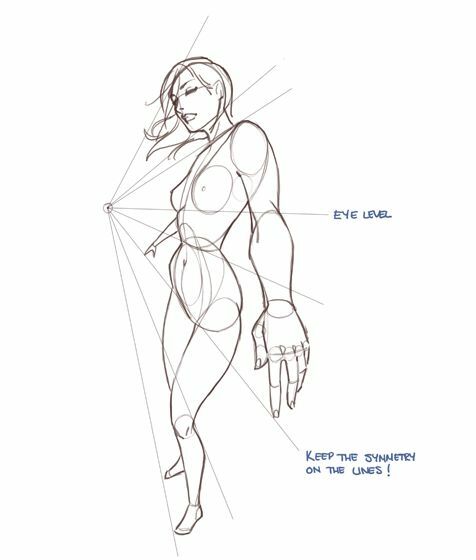 This concise image explains the guidelines and basic rules you should pay attention to when attempting to add perspective to your drawings. This is an extremely useful resource for any artist.